The purpose of the Academy Section on Health Care Delivery is the study and advancement of knowledge in the field of Health Policy. The section was formed in 1995 with the purpose of developing educational programs on delivery, policy, and economics of health care and health care management and administration, and providing a framework for developing strategies in health policy. 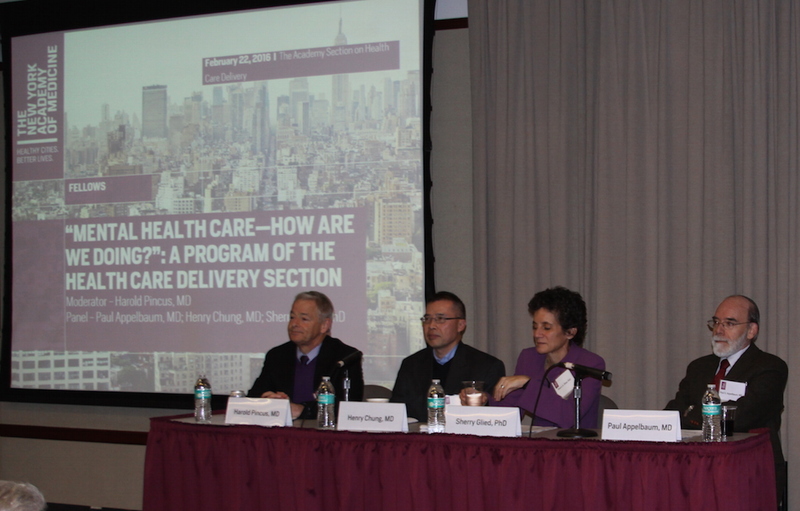 The Section delivers an annual series of lectures here at The New York Academy of Medicine for a diverse audience of New York health care professionals, including clinicians, administrators, and policymakers. Included in the series is the annual Duncan W. Clark Lecture, named for former Academy President (1983 to 1984) and Trustee (1985 to 1989) Duncan W. Clark, MD. Dr. Clark, an honored physician, teacher and mentor had a distinguished record of achievement in teaching, research and advocacy to ultimately improve the practice of medicine. Dr. Iago Galdston, a major presence at The New York Academy of Medicine from the 1920s to the 1960s, and a world renowned medical journalist, established this annual lecture to honor Dr. Clark in 1984. This has also been made possible through ongoing support from Mrs. Ida O’Grady Clark as well as Dr. William M. McCormack and the Trustees of the International Foundation. See the Fellows Directory?for a list of all section members. Download the slides from Paul Francis' keynote speech on the progress of state health reform initiatives in the context of the evolving federal health policy environment.? 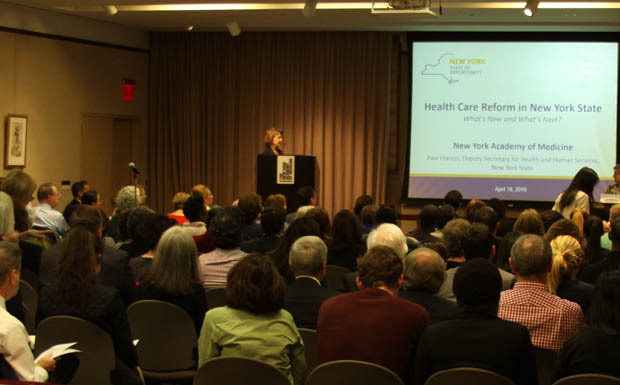 The 2016 Albany Update: Health Care Reform in New York State - What's New and What's Next? Download the slides from Paul Francis' keynote speech on progress to-date and the future of health in New York State. Download the slides from Dr.?Harold Pincus'?overview of the current state of mental health policy.? Download the slides from Henry Chung's presentation?about what we are learning about how to make collaborative models between mental and physical health care successful.